Who: A match for shooters new to competitive shooting with a desire to participate in regular Action Pistol matches. What: Stages designed to introduce shooters to competition in a simple, straight forward, low-key environment. Shooters will be exposed to safety concepts, range commands, target types, timers, & scoring. 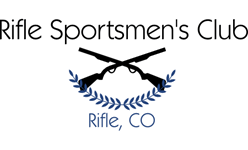 Instructors and experienced shooters will be on-hand to facilitate. Requirements: Eye and Ear Protection, A 9mm handgun or larger caliber, approximately 75-100 rounds of ammunition, a minimum of 2 magazines. Recommendations: Have a working knowledge of how to safely load, fire, and unload your handgun. Equipment: outside-the-waistband belt holster that retains your firearm and covers the trigger guard worn on competitor’s strong side, magazine pouches, the more ammunition and magazines you bring, the better. Safety: Bring your unloaded handgun in a case that zips/latches closed or a range bag. RSC is a cold range during this event meaning that handguns will only be loaded under the direction of a safety officer. Regular Action Pistol Matches held the 3rd Saturday of every month, sign-up begins at 9:30AM Dec.-Feb., 8:30AM Mar.-Nov.